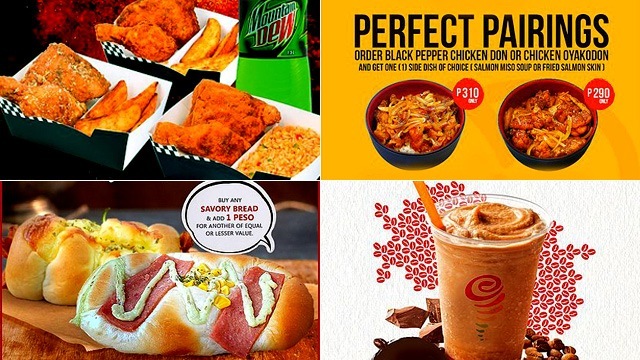 (SPOT.ph) We've got all kinds of drinks for this week's round of steals and deals! 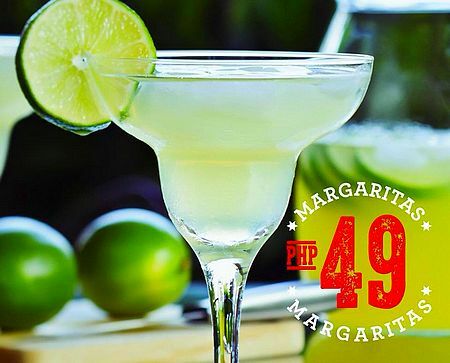 Whether your drink of choice is coffee, margarita, or wine, you can refresh and beat the heat with these discounts, bottomless deals, and two-for-one promos. Plus, we've found awesome food pairings that are perfect for your next food trip! Single Origin is adding more flavor to your weekdays! 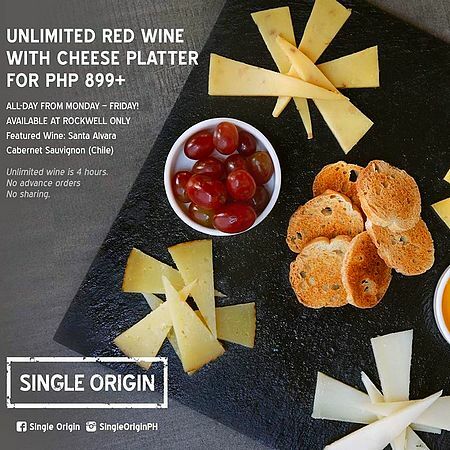 Enjoy unlimited wine and cheese platter for P899 at the Rockwell branch. This offer is available from Monday to Friday, valid for four hours only. 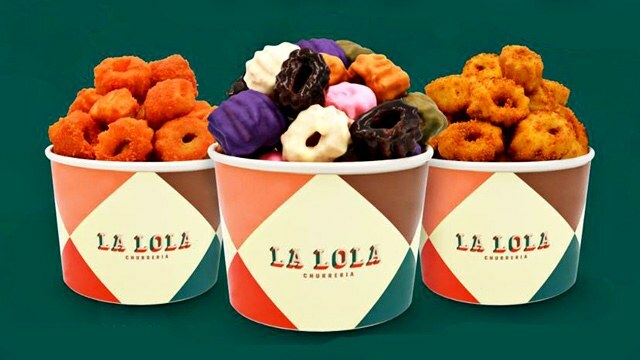 We think that this calls for a date with the titas! Single Origin is at G/F Edades Tower and Garden Villas, Amorsolo corner Rockwell Drive, Rockwell, Makati City. For more information, log on to Single Origin's Facebook page. 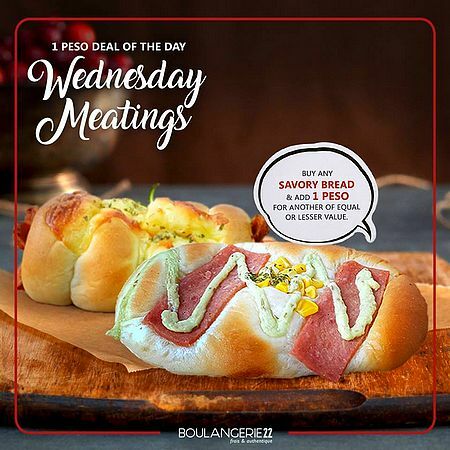 Here’s one meeting that will leave you absolutely satisfied: Wednesday Meatings with Boulangerie22! Buy any savory bread and add just a peso to get another of equal or less value. This offer is available on Wednesdays only. See a list of Boulangerie22 branches. For more information, log on to Boulangerie22's Facebook page. Beat the summer heat! 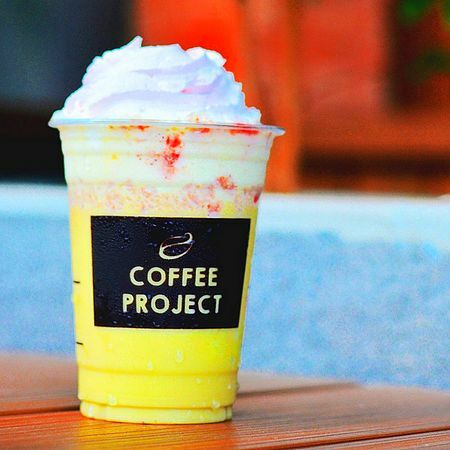 Order any of Coffee Project’s summer drink offerings and get your second one at 50% off! Choices include Vietnamese Coffee Jelly Frappe, Iced Shaken Lemon Lychee Black Tea, and Avocado Raspberry Medley Frappe. This offer is valid from 1 p.m. to 4 p.m. every Wednesday. See a list of Coffee Project branches. For more information, log on to Coffee Project's Facebook page. 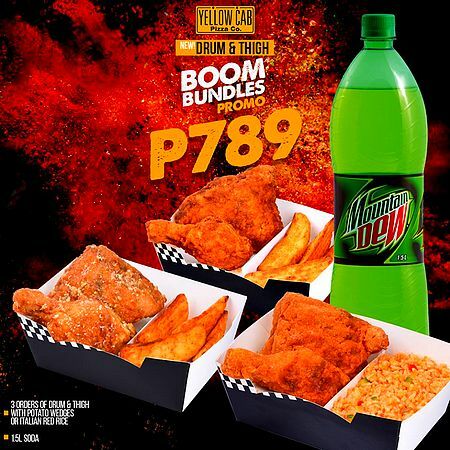 Fuel your hustle with Yellow Cab’s Chicken Drum and Thigh Boom Bundles Promo! For P789, get three orders of Drum and Thigh with Potato Wedges or Italian Red Rice, and 1.5-liter soda. This promo is available for dine-in, takeout, and delivery. Who’s up for unlimited frozen margaritas? It’s Tipsy Pig’s treat for all the ladies who deserve a good drink while easing up! 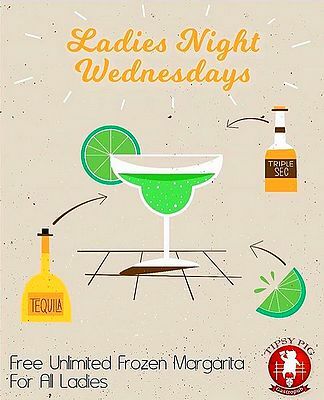 Round up your girl gang and head over on Wednesdays to enjoy this awesome promo. See a list of Tipsy Pig’s branches. For more information, log on to Tipsy Pig's Facebook page. 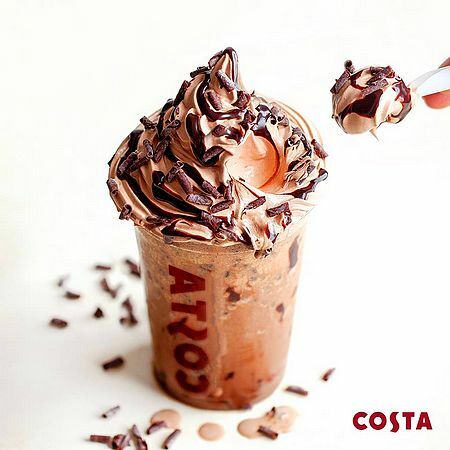 This summer, Costa Coffee is bringing back a refreshing habit. Cool down with their Frostino Wednesdays! A Primo size of Double Chocolate Cookie Mocha will be available for only P100 on April 25. You don’t want to miss this chocolate-y goodness! 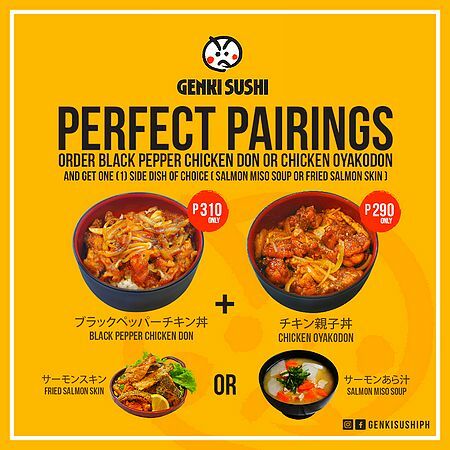 Genki Sushi’s new Perfect Pairings will surely take your palate on a delectable journey! Order the Black Pepper Chicken Don for P310 or the Chicken Oyakodon for P290 and get a side dish of your choice (Fried Salmon Skin or Salmon Miso Soup) for free. 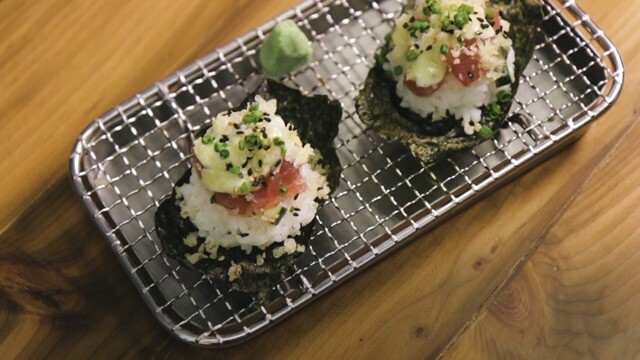 Genki Sushi is at Bonifacio Stopover, 31st Street, Bonifacio Global City. For more information, log on to Genki Sushi's Facebook page. 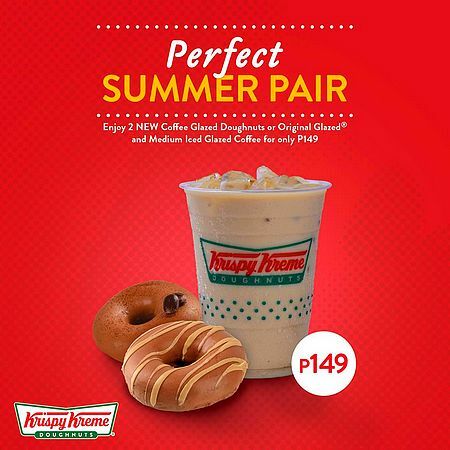 Summer just got better with this perfect pair from Krispy Kreme! Enjoy two Coffee Glazed or Original Glazed Doughnuts with Medium Iced Glazed Coffee for only P149. Doughnuts can be two Coffee Glazed Doughnuts (Espresso, Latte, or Caramel Macchiato), two Original Glazed Doughnuts, or one Coffee Glazed of choice and 1 Original Glazed Doughnut. This promo runs until April 30. See a list of Krispy Kreme branches. For more information, log on to Krispy Kreme's Facebook page. Having a slow Thursday? Perk up your day with an energizing power-charged twist from Jamba Juice! Get P30 off on Coffee Affogato smoothies every Thursday. It's not every day that you get to enjoy P30 off on your smoothies, so make sure to take advantage of this offer! How do margaritas for 50 bucks sound? We don’t know about you; but, this one’s definitely a steal from Applebee’s! Head on over from 5 p.m. onwards to enjoy this promo, which you can avail everyday. Applebee’s is at G/F W Global Center, 9th Avenue corner 30th Street, Bonifacio Global City. For more information, log on to Applebee's Facebook page.